Valley Crossing Pipeline, LLC, a wholly owned subsidiary of Enbridge Inc. (NYSE:ENB), and King Ranch, Inc. announced today that they will combine their efforts to make a joint donation of $100,000 to the Caesar Kleberg Wildlife Research Institute (CKWRI). The grant will fund the ongoing development, installation and research of South Texas native seed mixes and the restoration of native monarch butterfly habitat throughout South Texas. During the last year, Valley Crossing, King Ranch and CWKRI have been working together to identify and utilize a native seed mix throughout Valley Crossing’s newly constructed right-of-way in Kenedy County, TX. The objective of this grant is to support CKWRI researchers as they study the benefits of utilizing native seed mixes to restore habitat for monarch butterflies on the Valley Crossing Pipeline right-of-way on participating private lands in Kenedy County. The Valley Crossing Pipeline right-of-way lies within a primary migratory corridor of the monarch butterfly along the Texas Gulf Coast. A significant portion of the monarch butterfly population traverses this region in both spring and autumn each year to and from wintering grounds in Mexico, and breeds on native milkweeds found there. Through the efforts of King Ranch, CKWRI and Valley Crossing, the entirety of Valley Crossing’s right-of-way through Kenedy County will be transformed into 42 miles of uninterrupted corridor populated by native grasses, forbs, and legumes which are capable of providing native grassland habitat needed by the monarch butterfly population. 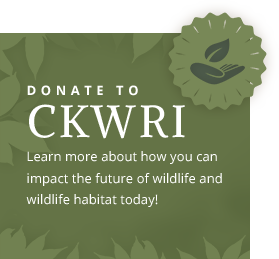 The grant will also fund CKWRI’s work to lead educational outreach activities on this project with landowners and other community stakeholders as well as to collect, summarize and report results of the seeding over the next three years. Valley Crossing, King Ranch and CKWRI hope this contribution will be a catalyst to attract additional financial support for this project from landowners, foundations, and conservation organizations. Valley Crossing Pipeline, LLC is a wholly owned subsidiary of Enbridge. The Valley Crossing Pipeline project is a 176-mile natural gas pipeline that begins in Agua Dulce, Texas and extends south toward Brownsville, Texas where it terminates 14 miles offshore in Texas State waters. Construction of the Valley Crossing Pipeline project is estimated to generate approximately 3,504 jobs, $183 million in property taxes over 35 years for counties along the route and a total economic impact of $294.8 million in South Texas. King Ranch, Inc. owns the historic 825,000 acre King Ranch in South Texas. Founded in 1853, the Ranch is a pioneer in ranching and wildlife management, habitat conservation and sustainability. King Ranch contributed significantly towards the founding of the King Ranch Institute for Ranch management at Texas A&M – Kingsville and the Caesar Kleberg Wildlife Research Institute at Texas A&M – Kingsville. The Caesar Kleberg Wildlife Research Institute at Texas A&M University-Kingsville is the leading wildlife research organization in Texas and one of the finest in the nation. Established in 1981 by a grant from the Caesar Kleberg Foundation for Wildlife Conservation, the Institute operates as a nonprofit organization and depends financially upon private contributions and faculty grantsmanship. Our mission is to provide science-based information for enhancing the conservation and management of wildlife in South Texas and related environment. The South Texas Natives Project (STN) is a research program of CKWRI. The mission of STN is to develop and promote native plants for restoration and reclamation of habitats on private and public lands, focusing on the development of locally-adapted native plant seed sources for use in restoration projects. The STN Project began in 2001 at the urging of private landowners concerned with increases in highways and pipeline construction, greater oil and gas activity, and because of enhanced awareness of the role of native plants as vital components of wildlife habitat. Founding sponsor of the program was the Robert J. Kleberg, Jr. and Helen C. Kleberg Foundation. STN is committed to providing economically viable sources of native seeds and effective restoration methodology to both the private and public sector to enable restoration of native plant communities in South Texas. William R. (Billy) Murphy, Jr.